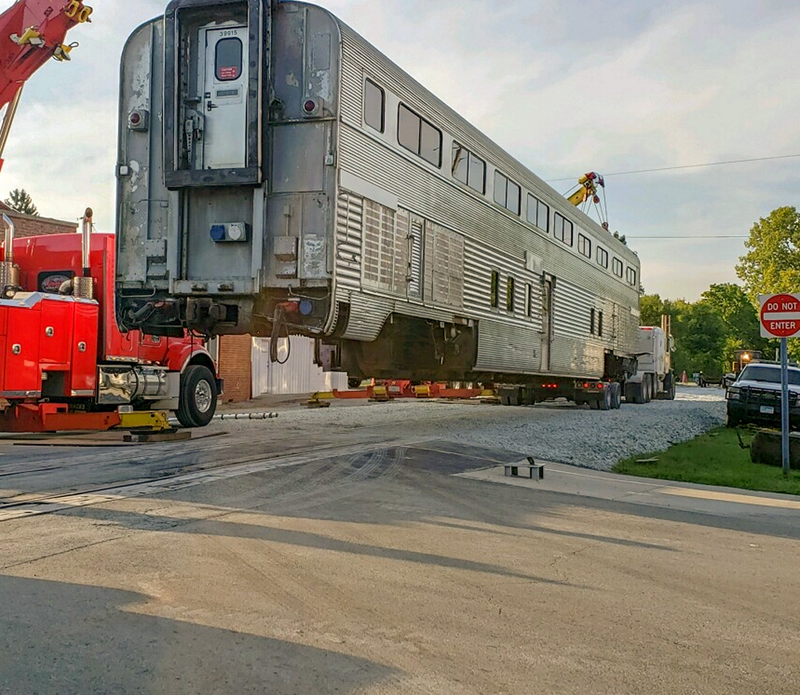 With its grand opening set for Sept. 15, Nickel Plate Express recently completed work to move in three additional passenger cars, a generator car and an F9 locomotive to begin running excursion trains from Atlanta to Noblesville. The first passenger car, a 16-foot-tall, 1956 Santa Fe El Capitan Hi-level, was moved Aug. 30 from Lapel to Arcadia. Previously, the 1956 cars were restored in Tennessee before moving to Lapel for temporary storage in July. The cars will officially re-enter service Sept. 15 during the Nickel Plate Express grand opening, which will run from noon to 5 p.m. in downtown Atlanta. The inaugural ride and ribbon-cutting ceremony will begin at 12:30 p.m. Rides will run at 3 p.m. and 5 p.m.
A DJ, railroad scavenger hunt and free train-themed caricature drawings by Cicero artist Nick Nix and local food trucks will round out the event. Kids ages 2 to 12 are $10. Guests 12 are $19. Kids under 2 are free. Tickets can be purchased at NickelPlateExpress.com/tickets.